When I get home from work I am just ready to sit down and not do much the rest of the night. 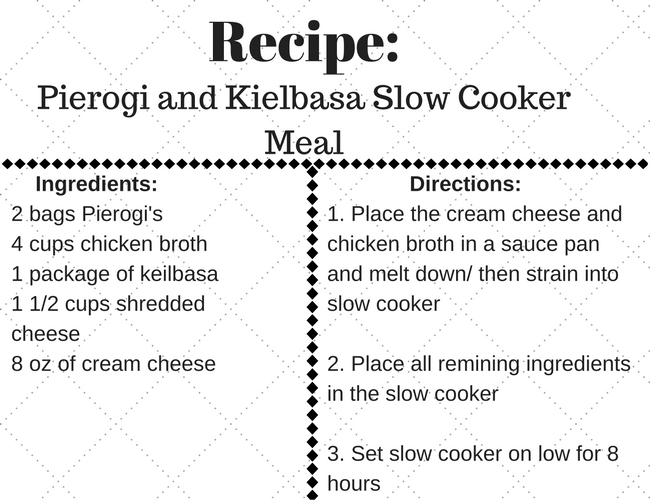 Because of that I have been trying to set a goal of one new slow cooker meal a week to make things easier. I am sure a lot of you feel the same way, so why not have dinner ready when you walk in the door?! 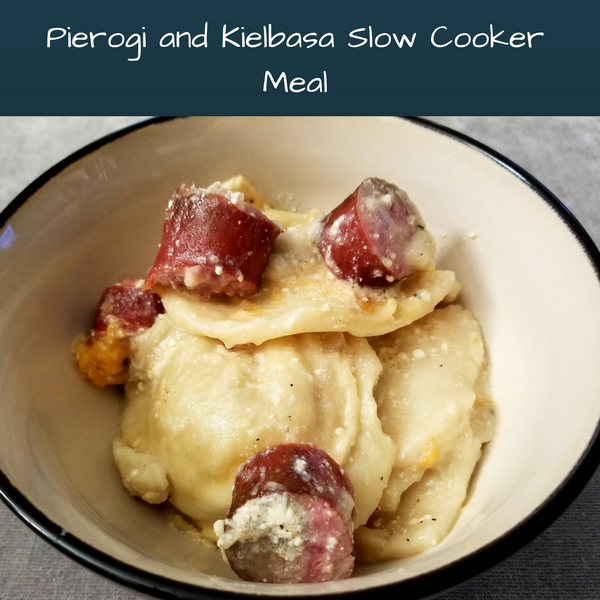 The best thing about this meal, you can choose any flavor pierogi’s you want, and really any type of sausage also, giving a great variety. The recipe below I made for 2 people and still had a good amount left over for another meal, so judge based on your family size. -When it comes to the cream cheese, if you don’t mind chancing curds, no need to melt first!